The mention of vertical relationships brings to mind a picture of a hierarchical structure, which in turn suggests a descending series of levels of authority. A decision, usually taking the form of an order or a set of rules to be imposed on lower levels, is transmitted downward from level to level. Such hierarchical structures operate in the Catholic Church, in the military, in national governments, and in all large business organizations. From the point of view of the many individual units operating at the descending levels, these collective sociopolitical or religious institutions are hierarchies of command. The activities of individuals at the lower levels, and in totalitarian organizations even their thoughts, are governed by the will and decisions of their superiors. From another point of view, however, a hierarchy is a series of structures. The top structure contains a number of smaller structures at the next level below, which in turn contain many still less encompassing structures, and so on, all the way down the structural ladder to the smallest grouping of units. Such a structure is a hierarchy of containment. The hierarchy of wholes (that is, of systems of organization) occurring in nature operates mainly on the basis of the principle of containment. The physical universe accessible to human perceptions contains billions of galaxies, each containing millions of star-systems with (or without) planets; a planet contains trillions of simple and complex living organisms, and each cell contains myriads of molecules, each containing atoms, and so on. While the universe thus pictured is a hierarchy of wholes, it need not be interpreted as a hierarchy of command, unless one imagines an all-powerful God at the top of the cosmic hierarchy. 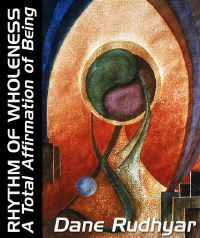 The will and mind of such a God would not only have worked out the entire system and set the rules for its operation at every level, but somehow would always direct and control the behavior of the innumerable components of the universal whole, either directly or through a hierarchy of spiritual beings. The typical Western scientist does not approach the universe by investigating a vast organization based from the beginning on a hierarchical series of structures. He or she is concerned primarily with immediately observable, separate entities whose activities have such an integrated, persistent, and repetitive character that they can be considered and defined as "wholes." These, when possessing identical features in their organization, are further classified into increasingly larger groups and species, each of which is precisely described, named, and categorized. Recently, however, a few biologists and philosophers of science have begun to think of larger systems within which a vast number of different classes of beings interact, each following a definite and interrelated function within the whole. Thus they have come to realize that all the living organisms within a definable region (plus the region's soil, water, atmosphere, and climatic processes) constitute an ecosystem; and a myriad of ecosystems in turn constitutes the planetary system or life-field (biosphere). Thus a trend toward envisioning an ascending hierarchical series of wholes of increasing magnitude is beginning to balance the urge that for several centuries has driven classical Western science to use analytical procedures to discover ever more about ever more restricted wholes � to know, as Einstein said, "more and more about less and less." This new trend may mean knowing less and less about ever more encompassing wholes, but it also should provide a more balanced and realistic understanding of the processes implied in vertical relationships, because these processes work two ways. Entities or systems active at lower levels affect entities or systems active at higher levels, just as those at the higher influence and in various degrees control the behavior of wholes at the lower levels. In addition to vertical relationships linking greater and lesser wholes, horizontal relationships link units operating at a basically similar level of activity and consciousness (always using the term consciousness in its broadest sense, not merely with reference to the self-consciousness or objective consciousness of human beings). Such levels may be defined, not only at the biological level, according to the usual biological classification of family, genus, species, and so on, but also at the sociocultural level in terms of nations, religions, social castes or classes, income groups, age groups or generations, education, or even neighborhoods. Today the peer group has become especially important, because of the general trend toward an increasingly egalitarian and popular society and popular culture. This trend, which is fostered by the media and by a constantly spreading concern with problems of strictly personal relationships and personal growth in terms of material, social, and individual success, is the latest aspect of the drive toward individualism and theoretical democracy in Western culture. The latter have been developing since the Renaissance and in science and philosophy have taken the form of an "atomistic" rather than "holistic" approach to reality.